Inspiration and education are two important themes when being a teacher. 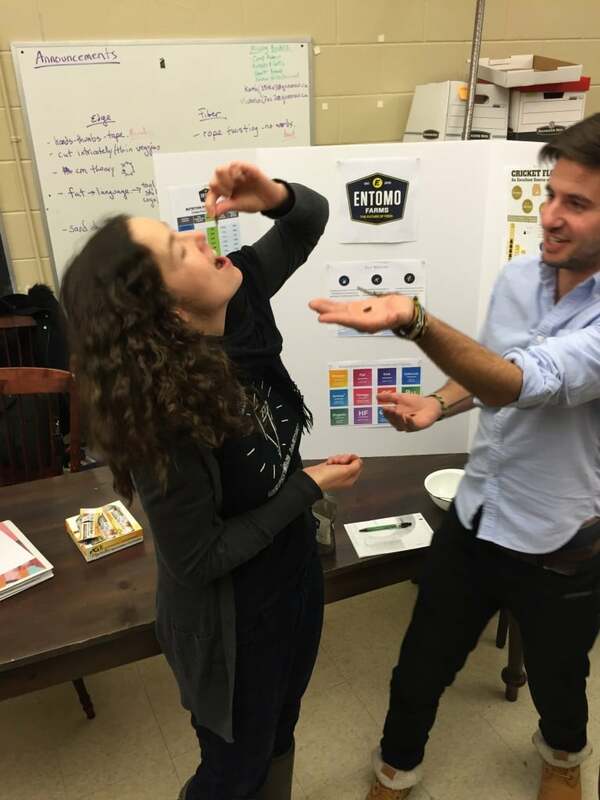 Teacher candidate at Queen’s University in Ontario, Jeremy, approached Entomo Farms, and asked us to sponsor an educational event that he wanted to run about entomophagy as a part of a larger unit about sustainable farming, waste and the environment. Entomo Farms supplied him with cricket powder (cricket flour) for recipes, and whole-roasted crickets for samples. The educational event was for other teacher candidates to learn about entomophagy; why we would be eating insects, the importance of embracing the entomophagy movement, and how easy it is to start including insects in any daily regimen. Considering that they will be future teachers, it is important to educate them so that they will educate their future students.